Shri Suresh Prabhu, the Honorable Union Minister for Civil Aviation and Commerce and Industry, recently congratulated Kale Logistics Solutions for its Outstanding contribution to Logistics - IT Sector. 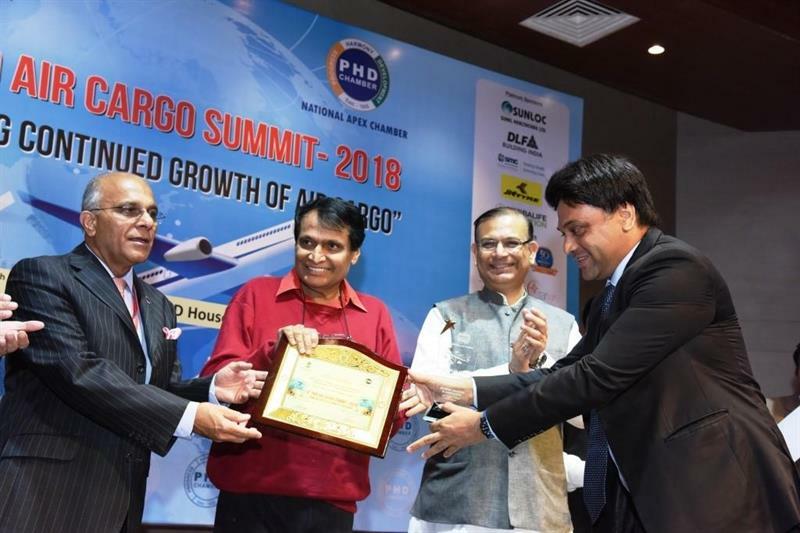 The award was made at the 4th PHD Air Cargo Summit, 2018, under the theme of Enabling continued growth of Air Cargo, at PHD House in New Delhi. Ambassadors, bureaucrats and industry experts were present at the event, along with representatives of allied Industries. Amar More, CEO, Kale Logistics Solutions, received the plaque on behalf of the company.